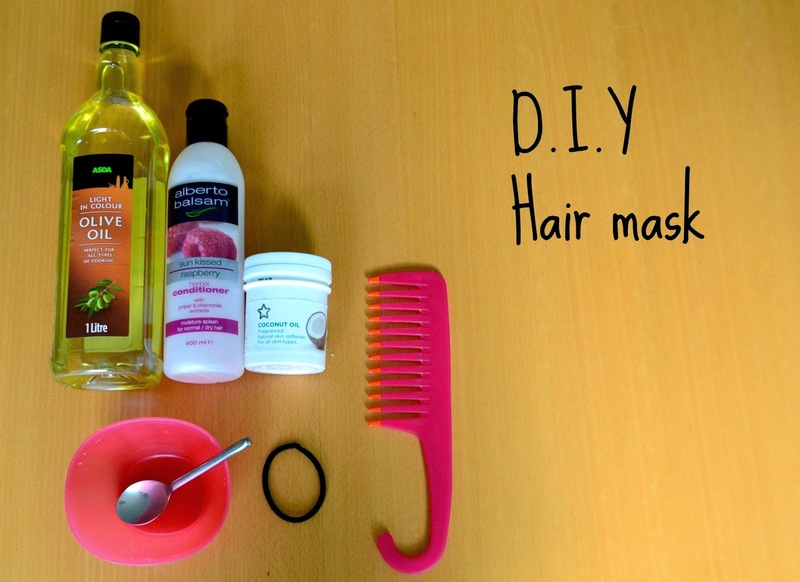 Here, my friends is my super cheap, quick and easy DIY hair mask. About once a week I love to treat my hair to a mask. I've trailed a vast amount of odd things in my hair now (you name it, I've most probably tried it!) and I have finally found a great hair recipe which works a treat for eliminating frizz and adding shine! It's so quick to make too which is a bonus! 1.Take a teaspoon of coconut oil (coconut oil helps to seal in your hairs moisture and is rich in vitamins like vitamin K,E and iron which will help maintain shine) and pop it in your bowl. 2. And a generous dash of olive oil (olive oil helps add shine, tame frizz and soften your hair) and pop your bowl in the microwave for about 30 seconds to create a liquid texture. 3.Then add lots of conditioner. I just use any old cheap conditioner for this! I usually apply this root to tip and massage it in, doing this can also help your hair to grow quicker by activating the roots of your hair! I like to leave this in as long as possible. If you can I would suggest about 2 hours, but the longer the better!